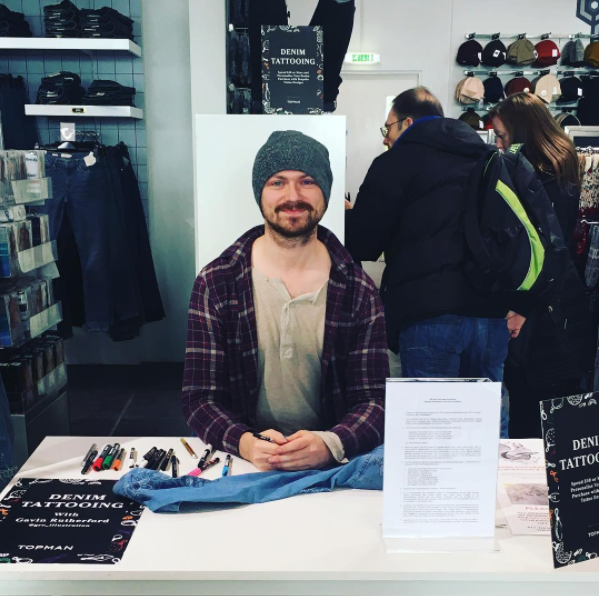 In late 2016 I was approached by Topshop and asked to come into their flagship Edinburgh store on Princes Street to customise customer clothing with hand drawn illustrations. 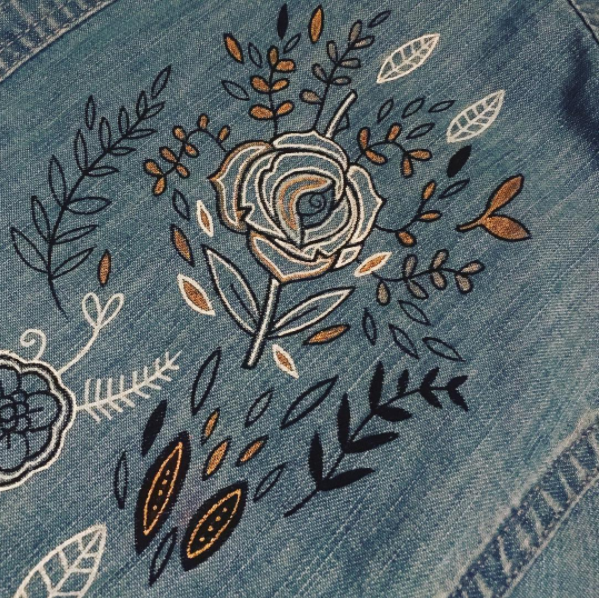 The immediate challenge was to find a way of recreating my intricate and decorative style on denim. Denim typically has a very thick weave, dark shades and a rough surface. I spent a number of weeks adapting my drawing style to compensate for what was essentially a very unforgiving surface. Once I was comfortable with this, I then experimented with various pens, inks and brushes to establish how to make sure the work would become machine-washable. After weeks of preparation, I finally overcame the logistical challenges of the project and spent two weekends during the Christmas Season bringing my work to life in Topman's Edinburgh store, the results of which can be seen below.